The loss of any species weakens the ecosystem that all species rely on for survival, including humans. Monarch Butterfly decline is an indicator that there is something wrong in our shared environment and a warning that we could be affected as well. Do we really want to live in a world where the next generation has no chance of seeing a monarch butterfly on a flower? The U.S. Fish and Wildlife Service (Service) on February 9, 2015 launched a major new campaign aimed at saving the declining monarch butterfly. The Service signed a cooperative agreement with the National Wildlife Federation (NWF), announced a major new funding initiative with the National Fish and Wildlife Foundation (NFWF), and pledged an additional $2 million in immediate funding for on-the-ground conservation projects around the country. Introducing the new initiatives at the National Press Club in Washington, D.C. were Service Director Dan Ashe, U.S. Senator from Minnesota Amy Klobuchar, NWF President and CEO Collin O’Mara, and NFWF representatives. While monarchs are found across the United States — as recently as 1996 numbering some 1 billion — their numbers have declined by approximately 90 percent in recent years, a result of numerous threats, particularly loss of habitat due to agricultural practices, development and cropland conversion. Degradation of wintering habitat in Mexico and California has also had a negative impact on the species. To directly tackle these challenges, the new cooperative effort will build a network of diverse conservation partners and stakeholders to protect and restore important monarch habitat, while also reaching out to Americans of all ages who can play a central role. The memorandum of understanding between the National Wildlife Federation and the U.S. Fish and Wildlife Service will serve as a catalyst for national collaboration on monarch conservation, particularly in planting native milkweed and nectar plants, the primary food sources in breeding and migration habitats for the butterfly. The new NFWF Monarch Conservation Fund announced today was kick-started by an injection of $1.2 million from the Service that will be matched by other private and public donors. The fund will provide the first dedicated source of funding for projects working to conserve monarchs. From California to the Corn Belt, the Service will also fund numerous conservation projects totaling $2 million this year to restore and enhance more than 200,000 acres of habitat for monarchs while also supporting over 750 schoolyard habitats and pollinator gardens. Many of the projects will focus on the I-35 corridor from Texas to Minnesota, areas that provide important spring and summer breeding habitats in the eastern population’s central flyway. 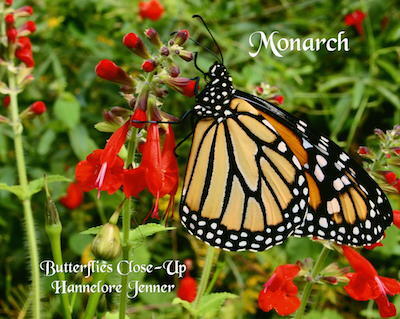 The monarch is perhaps the best-known butterfly species in the United States. Every year they undertake one of the world’s most remarkable migrations, traveling thousands of miles over many generations from Mexico, across the United States, to Canada. The monarch’s exclusive larval host plant and a critical food source is native milkweed, which has been eradicated or severely degraded in many areas across the United States in recent years. The accelerated conversion of the continent’s native short and tallgrass prairie habitat to crop production has also had an adverse impact on the monarch. Spectacular as it is, protecting the monarch is not just about saving one species. 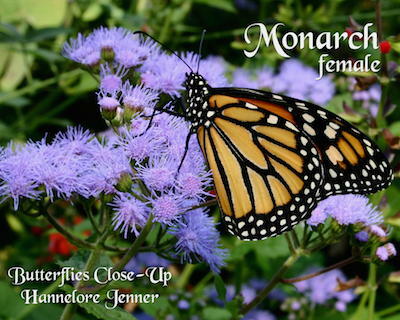 The monarch serves as an indicator of the health of pollinators and the American landscape. Monarch declines are symptomatic of environmental problems that pose risks to our food supply, the spectacular natural places that help define our national identity, and our own health. Conserving and connecting habitat for monarchs will benefit other plants, animals and important insect and avian pollinators. The National Wildlife Federation’s Garden for Wildlife program encourages responsible gardening that helps pollinators and other wildlife thrive. It encourages planting with native species like milkweed and discouraging chemical pesticide use. With nearly 200,000 locations and growing, NWF’s Certified Wildlife Habitats and Community Wildlife Habitats recognize individuals, schools, groups and whole communities committed to providing habitat for wildlife, including pollinators. Each of the200,000 certified locations provides food, water, cover and places to raise young. This makes yards, schools, businesses, faith-based organizations, campuses, parks, farms and other community-based landscapes into wildlife sanctuaries. NWF recognizes the increased need for native milkweed to restore disappearing monarch habitat across large landscapes, and suburban and urban gardens. It acknowledges the role that many NGOs, agencies and the seed and nursery industries must play. To that end, NWF is committed to supporting joint efforts with the Xerces Society, Monarch Watch, the Monarch Joint Venture and seed associations regarding scale and quality of seed required. NWF also has plans for joint efforts with a national coalition of habitat garden organizations with seed and gardening supply associations to support broader efforts by the White House Office of Science, Technology and Policy. In addition, NWF is working to bring attention to the decline of America’s remaining grassland habitats and to address the causes of the decline of this habitat that is so critical to monarchs and many other species. Working with federal and state agencies and the agricultural community, NWF hopes to promote restoration and enhancement of grasslands habitats on the agricultural landscape. Learn more about NWF’s monarch protection efforts at NWF.org/Monarchs. The Service’s public engagement effort includes a monarch website (http://www.fws.gov/savethemonarch/) with details and photos on the monarch’s plight, information on how Americans can get involved and direct outreach to schools and communities. Since agriculture also plays a key role in the monarch’s survival, our partnership efforts will engage farmers and landowners on management practices that will protect and restore habitat. The U.S. Fish and Wildlife Service works with others to conserve, protect, and enhance fish, wildlife, plants, and their habitats for the continuing benefit of the American people. 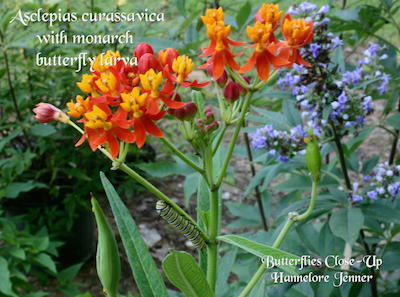 For more information, visit http://www.fws.gov/savethemonarch/, or connect with us through any of these social media channels: Facebook, Twitter, Flickr, YouTube.